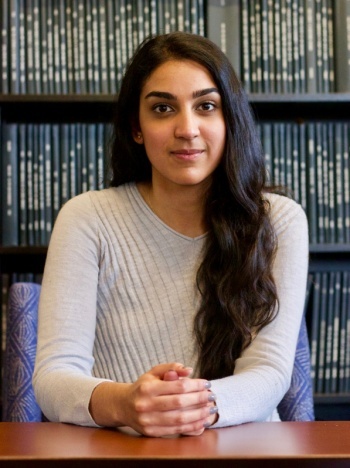 Clark Honors College senior and mock trial President Niharika Sachdeva is about to graduate from the University of Oregon, but her name, along with her ambition, will be remembered for years to come. Director of forensics and honors college faculty member Trond Jacobsen announced at a forensics program dinner in March that he and his family are establishing a scholarship fund in Sachdeva’s name to honor the exceptional dedication she has shown not only to the program but also to her own university coursework. This is the first time that Jacobsen has founded a scholarship, with funding support from both his wife and mother. “In my nearly 35 years on and off forensics, I have seen very few students with as strong of leadership qualities as Niharika,” he said. Each year, the Sachdeva Student Leadership Award will be given to a student on the mock trial team who has demonstrated an outstanding commitment to the program and his or her university studies. Beginning next school year, members of mock trial will nominate teammates to receive the $1,000 scholarship. Jacobsen, along with the associate director of the team and the director of the debate program, will then select the winner. Sachdeva did not know about the scholarship before Jacobsen’s announcement and could not believe she had such an effect on him. “It was amazing to know that someone was so passionate about what I had done,” she said. 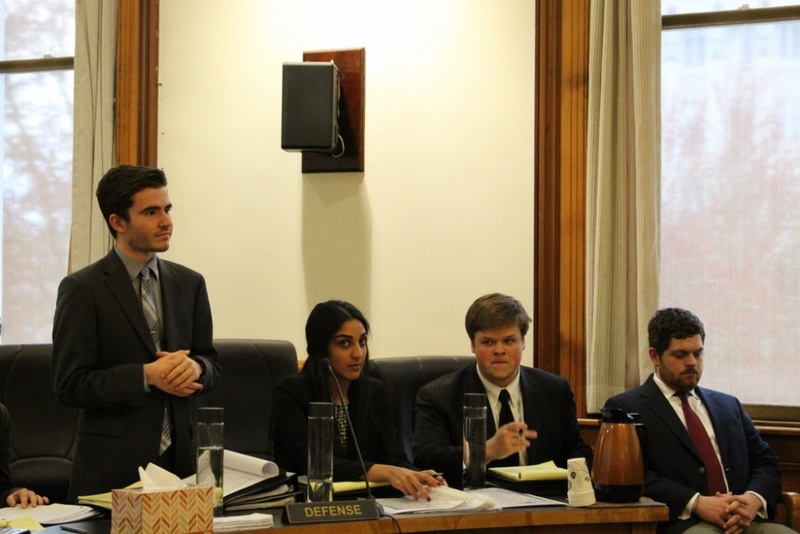 Sachdeva joined the mock trial team as soon as she became an Oregon Duck, and she has been president since her junior year. She said the team had around 15 to 20 members her freshman year but that some would only occasionally attend practices and competitions. Her main goals as a leader were to recruit more members and to improve participation, both of which she has accomplished. “This year, we had 50 passionate members who showed up to every practice,” she said. When she isn’t traveling the country with the mock trial team, Sachdeva studies public relations and political science. After graduating in the spring, she plans to begin law school, where she wants to study public interest work or immigration law. She has applied to 23 law schools across the country and is still waiting to hear back from 16 of them. Her top choices are the University of Washington; University of California, Berkeley; Cornell, University of California, Los Angeles; and Stanford University. Clark Honors College junior Aviva Kaye-Diamond will take the reins as the new president of the mock trial team in the spring. Sachdeva gave her some tips about what to expect in that position and how to manage more than 50 teammates. Her biggest advice was knowing when to take a step back. “The best leaders are those who spend most of their time just listening, and talking later,” she said. Learning to take the time to think and act rationally, not reactively, will be helpful in law school, then in the courtroom. “It’s been something that I can use throughout my life,” she said.